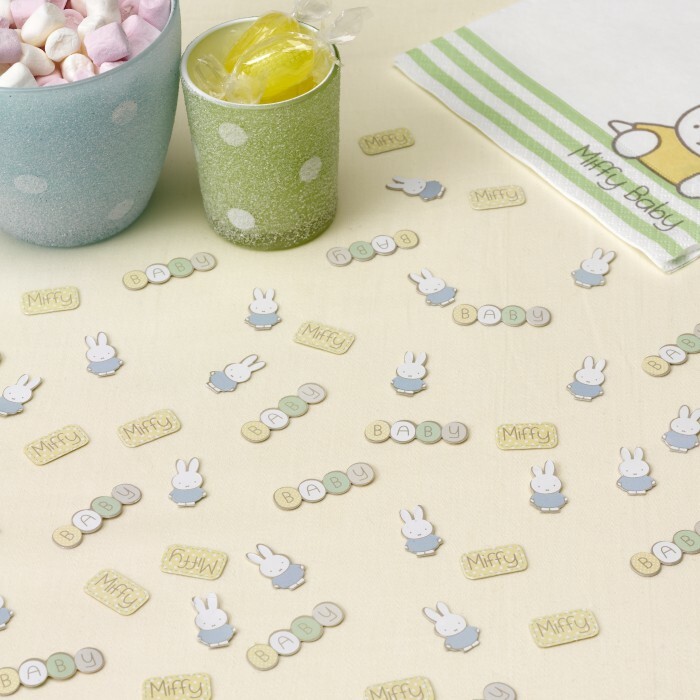 Organising a baby shower? 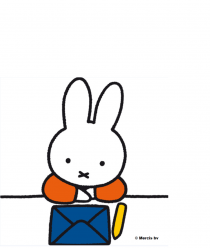 Use Miffy’s step-by-step guide to help you plan a fun, memorable, and stylish baby shower complete with goodies, games, and food ideas galore! First of all, you’ll need to select the time and date for the all-important event. 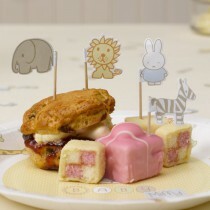 Baby showers are usually held about six weeks before your baby’s due date. On such an important day, you’ll want to make sure that your nearest and dearest can be there with you to celebrate. Make sure you let them know well in advance – at least a month before – and in style with some classy but cute baby shower invitations. 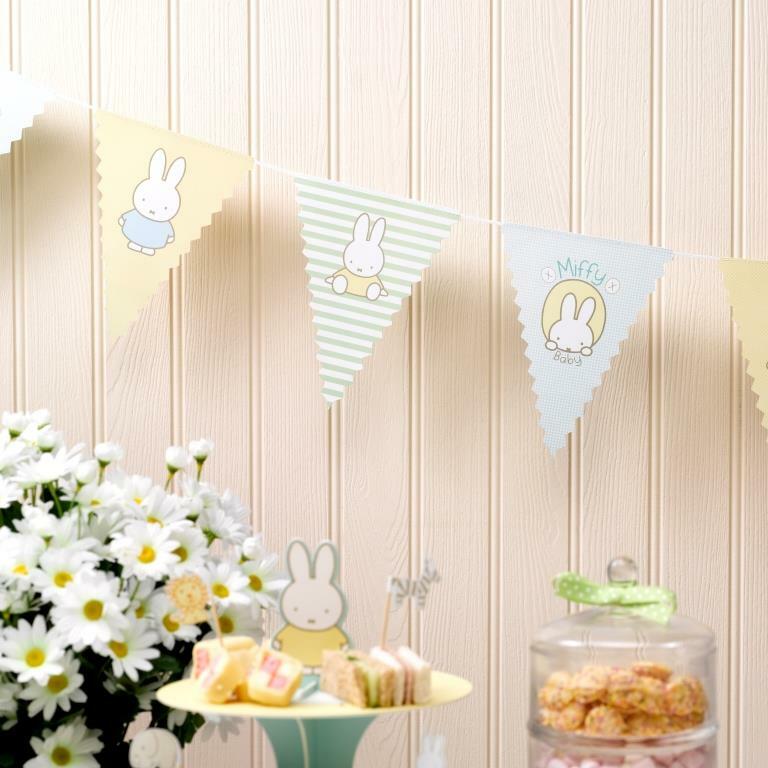 Transforming your room into a beautiful baby-themed setting need not be a big hassle – particularly if you check out the Miffy party range, which has a whole selection of gorgeous items in soft pastel colours, specifically for baby showers. 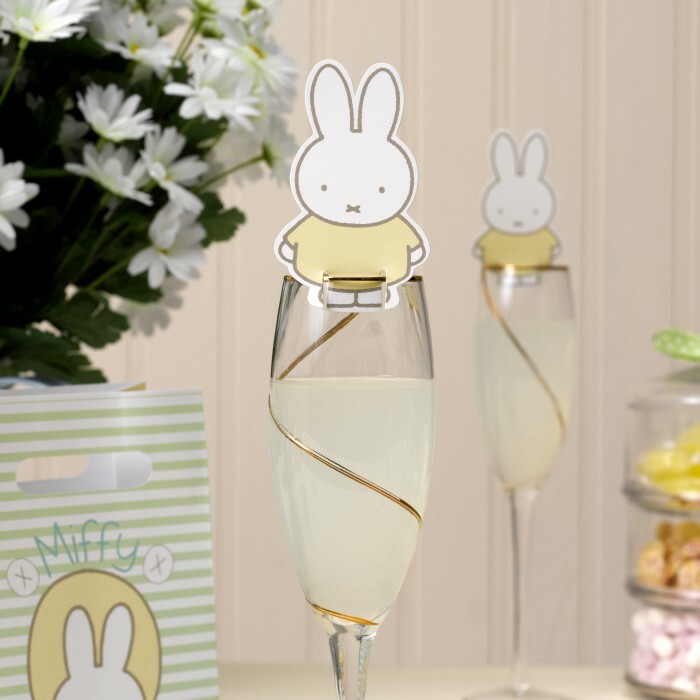 Choose from bunting, table confetti or even glamorous Miffy decorations for your champagne flutes that will certainly wow your guests. Be sure to lay out some nibbles for your event – maybe cupcakes, gingerbread men, scones or other favourite treats. 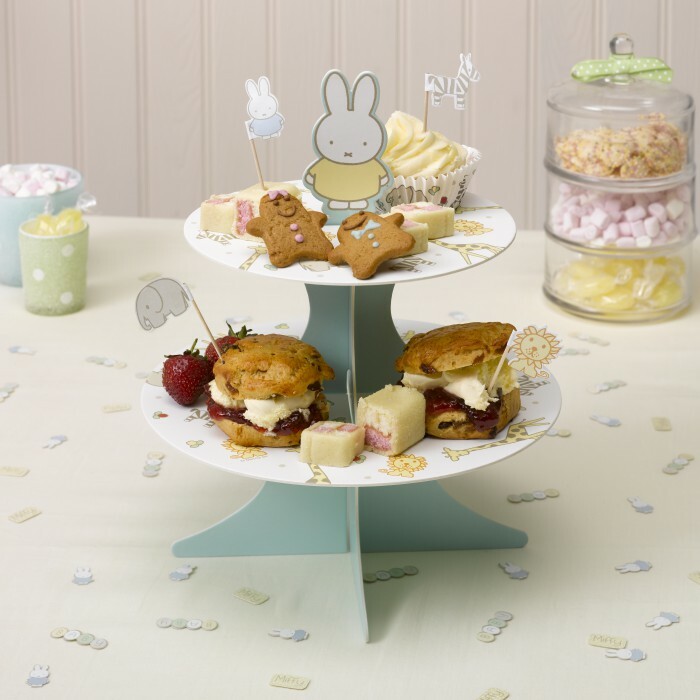 Create a stylish centrepiece by displaying your cakes on the two-tiered Miffy stand; the matching cake picks provide the finishing touch. 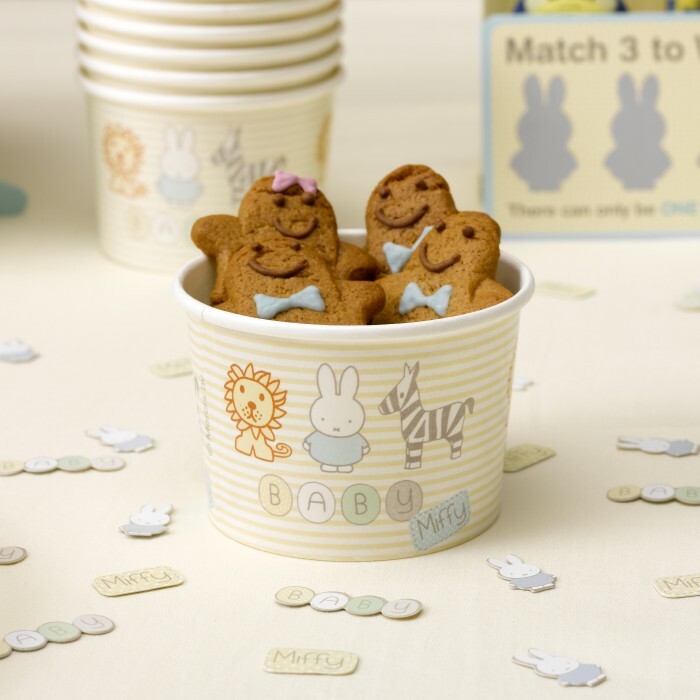 Round treat tubs can also be filled with lots of goodies, and guests can help themselves, using the Miffy plates, cups and bowls. A nice addition to your day is to incorporate some fun and games. 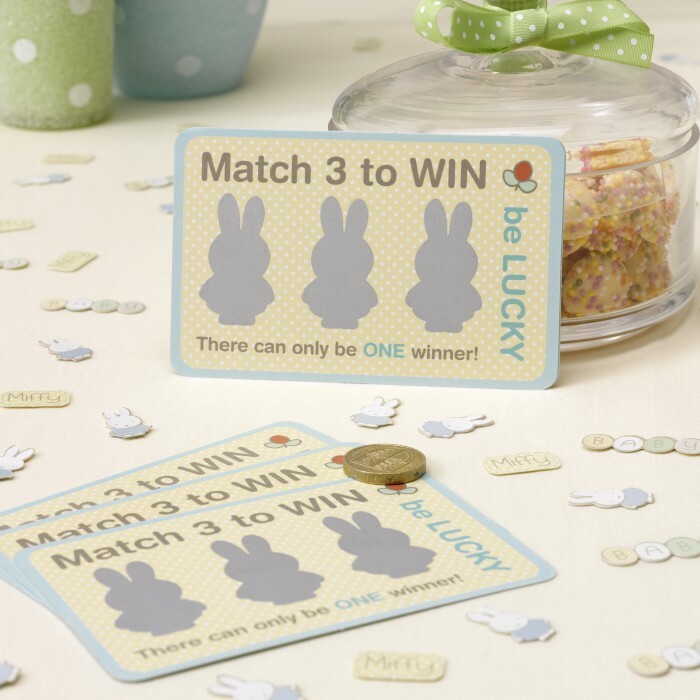 Perfect for any age, the Miffy scratch cards are a great way to get all guests involved and you could even give away a prize to the winner! Prep up some party bags to give guests when they leave. Nice ideas for fillers include: bath bombs, bubbles, sweet treats and why not pop some confetti in there too to make it extra special? 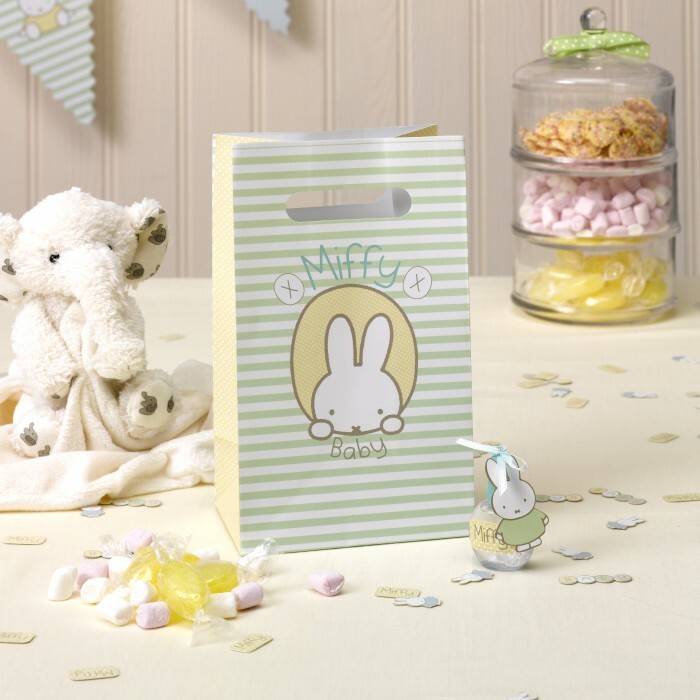 Encourage guests to add their messages to your Guest Book which you can savour at the end of your busy day, and create a lovely souvenir to pass on to your child when they get a little older. 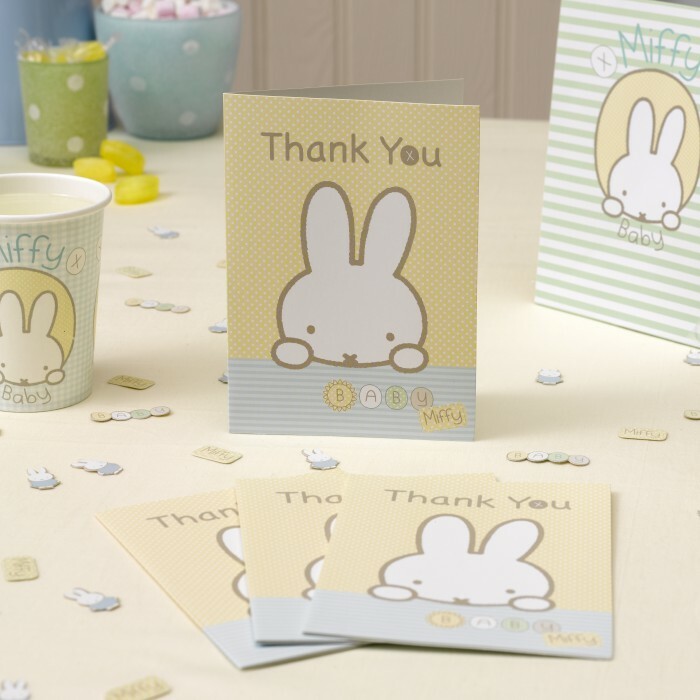 Once the day is over, show your gratitude to guests for coming along and for their wonderful gifts by sending Thank You cards where you can write some heart-felt and personalised notes. 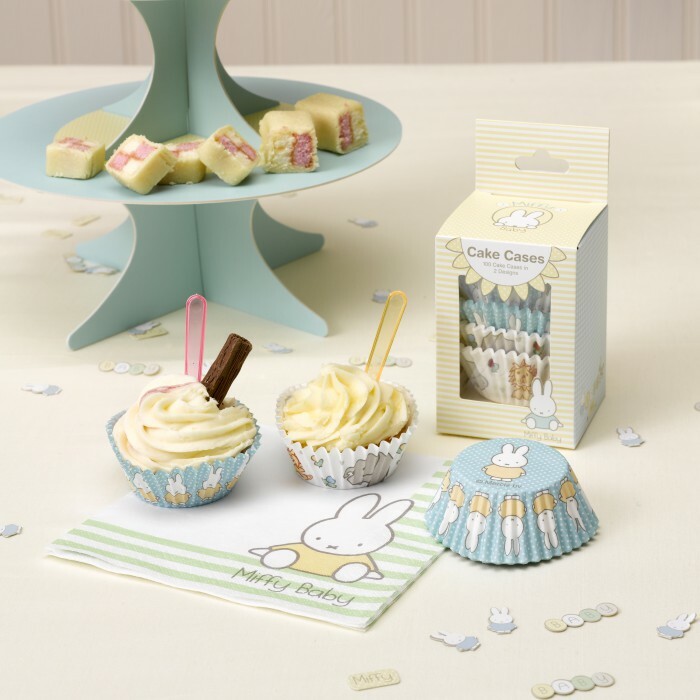 The Miffy Party range is available from Amazon, Hobby Craft, www.partydelights.co.uk and www.miffyshop.co.uk.